It’s a dual venue Phish Pre-Party & Post-Party with Touchpants both nights! 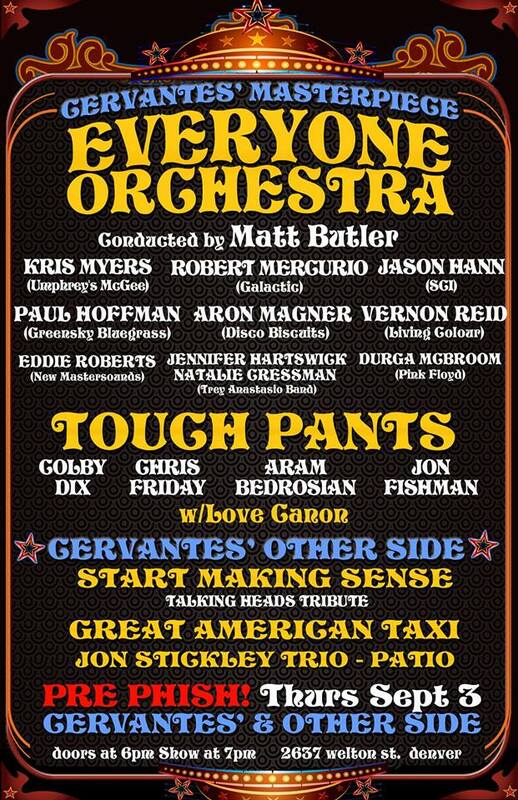 Everyone Orchestra’s performances in Denver, CO at Cervantes’ Masterpiece Ballroom on Thursday and Friday, September 3rd and 4th feature Kris Myers (drums- Umphrey’s McGee), Rob Mercurio (bass- Galactic), Aron Magner (keys-Disco Biscuits), Vernon Reid (guitar-Living Colour), Durga McBroom (Vocals-Pink Floyd), Jennifer Hartswick (Trumpet/Vocals- Trey Anastasio Band), Natalie Cressman (Trombone/Vocals-Trey Anastasio Band), and Eddie Roberts (guitar-New Mastersounds). Special guests Paul Hoffman (Mandolin-Greensky Bluegrass) and Jason Hann (Percussion-String Cheese Incident) will also be joining in on Thursday. Pre and post Phish Parties! Everyone Orchestra’s Matt Butler. Photo by Michael Weintrob. Having marched clearly into uncharted territory, Everyone Orchestra is an avant-garde conceptual and collaborative performance which deeply encourages and requires audience interaction. Both the band and the audience start the show with a clean slate to help co-create a dynamic musical experience, with Butler receiving ideas from the audience to help set the course of action. 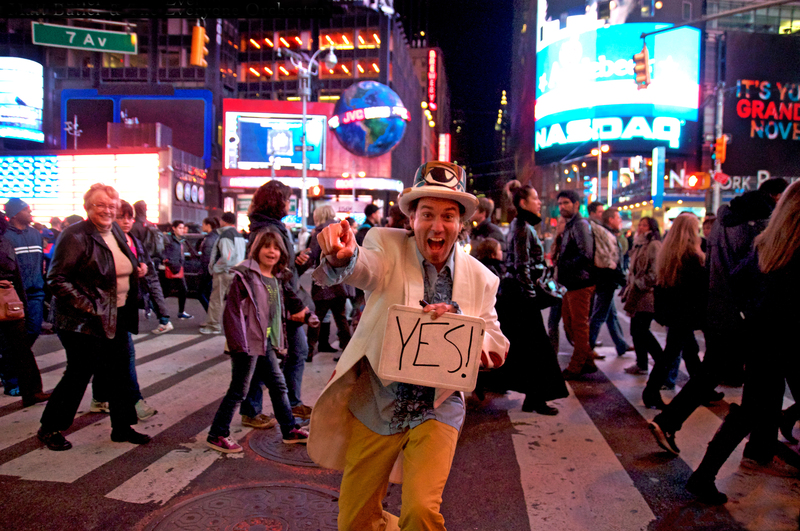 Tuning in to Butler’s energy and pantomime, The Conductor is utilized as a pivot to the set mood of each passing jam as he communicates musical concepts using hand signs, whiteboard and assorted mime suggestions. The edge of your seat enthusiasm for what is next is the fuel behind the continuous musical experiment of Everyone Orchestra. “I feel like it’s part of my job, and paramount, to not have too many preconceptions,” he said. “But the only preconceptions I have going in are to create a really dynamic show from beginning to end, have it have a nice arc, and that all the musicians get a chance to shine. I want to keep them challenged and engaged. It’s a playground for musicians that I’m trying to create,” says Matt in an interview with Examiner. 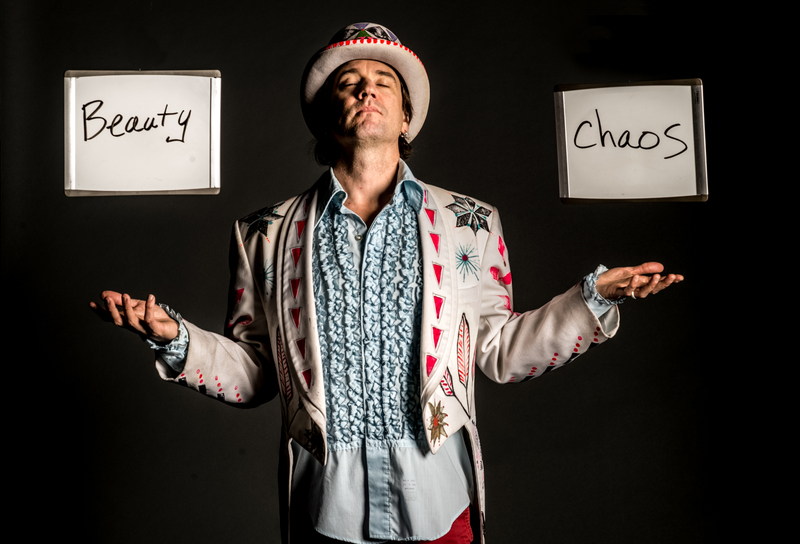 EO balances the challenges of live group improvisation with triumphant tension and release conduits of music which head deep into the heart filled with the aspiration of creating shared magical moments. Musicians from across a wide spectrum of styles and backgrounds describe their experiences with Everyone Orchestra.